American singer-songwriter Adam Torres’ pathway to become a fully committed recording artist has taken longer than it might. I can’t help but think his teaching and voluntary work, in rural villages in the Ecuadorian Andes (and other projects) since his 2006 debut has made the 30 year-old act a more rounded human being and instructed songwriter. His debut, cult-classic Nostra Nova was according to the accompanying press release an idiosyncratic and varied collection; and on hearing Pearls To Swine I don’t doubt this. Torres singing, supported by guitar, drums, congas, vibraphone, percussion (Thor Harris), violin (Aisha Burns) and bass, piano (Dailey Tolliver) with drum kit performances by Matthew Shepherd and Rodolfo Villareal 111 on occasions, especially on the opening track “Juniper Arms” underlines how his high pitched falsetto is an acquired taste. Once he is up and running, and his craft as a writer becomes more a focal point on “High Lonesome” and beautifully arranged “Morning Rain” followed by more, though fraction lower falsetto of “Daydream” Torres establishes a stronger and more appealing sound. 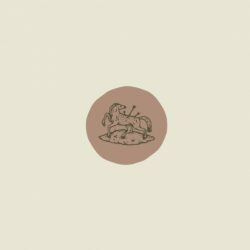 Recorded in Austin, Texas Pearls To Swine most certainly leans more towards intricate art than good old fashioned gritty story-telling, although his music does posses subtle traits there is nothing to encourage you to dance or to even snap your fingers to. My favourite track, and the most accessible one is “Mountain River”; again the arrangement is excellent, only on this occasion there is a greater urgency as he delivers a slightly Leonard Cohen tempo. “City Limits” which concludes the 9-track album in sound is nothing less than pure, as gently running spring water in feel.